Getting on a budget and saving money can be overwhelming. Start small with a few easy ways to save money this year. You can easily save $5 or more each day! Most of these are very simple changes that have a real impact on your bottom line without changing the quality of your life too much. Pack a Lunch – Stopping to grab lunch every day can really start adding up! Pack a lunch to bring to work or send with your children to school to save lots of money a month. Order from the Value Menu – If you do choose to grab lunch at a fast food restaurant, make sure to shop the value menu. Nearly all fast food establishments have a value menu these days that are much more cost effective than a combo meal. Meatless Monday – Start a meatless Monday tradition to skip meat for dinner and opt for a vegetable or bean based dish instead. It is an easy and healthy way to save money. Cashback Apps – Using cash back apps such as iBotta and Checkout 51 is a great way to save a quick buck on groceries and household products. I also love Shopkick for earning free giftcards to places like Target and Starbucks. Here are more easy ways to save on groceries. Gas Buddy – This is a great app that will help you to locate the least expensive gasoline from all of the nearby options. Carpool to Work – Start a carpool to commute to work with co-workers. You could take turns with who drives and pool money to save on gas. Vacation Meals at “Home” – When on vacation, look for a hotel or condo with a kitchen or at least a refrigerator and microwave. 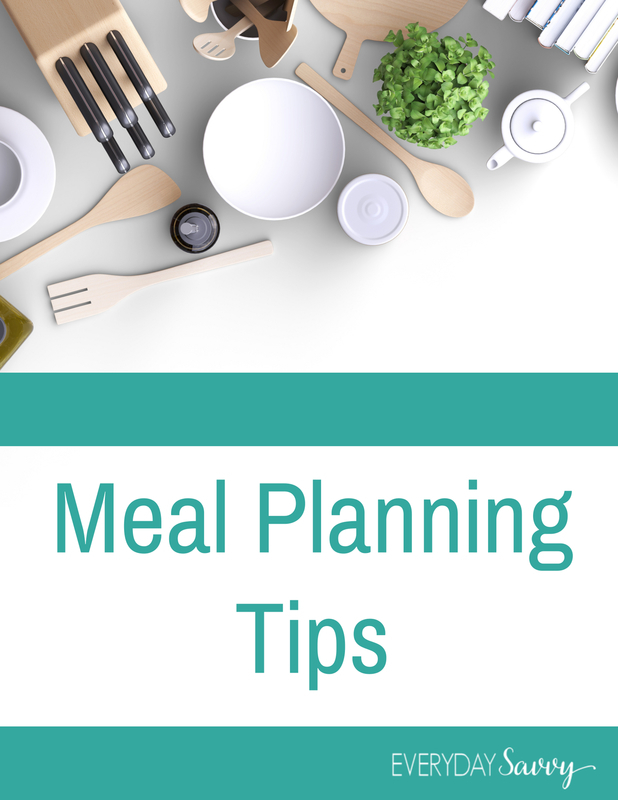 Plan to make a few easy meals at “home” such as sandwiches or microwavable dinners. Bring a Cooler – If you are driving to your vacation destination, pack a cooler to have to bring packed lunches on your days out. Check Flight Calendars – When booking a flight, check the website you are using for a fare calendar or use the flexible dates options. It is less expensive to fly on certain days of the week during certain times of the year. Travelocity will actually suggest other days to you. I also like to check out check out google flights. You can search by country or state and find the best deals. Consider a holiday apartment where so can eat some meals in on vacation. I am a huge fan of booking.com for these and if you book through my link you can even get $20 off! Creative Date Nights – Instead of a dinner and a movie date, come up with some creative and cheaper dating options. Try a picnic at the park and a Netflix movie under the stars, for example. Cut the Cable – Expensive cable bills are pretty unnecessary these days with all of the streaming options such as Netflix and Hulu. If you can’t live without cable, call the cable company and ask about promotions or ways to lower your bill. Movies from the Library – Check your local library for free movies to check out as opposed to spending money on video rentals. Granted, Redbox is just over $1 but only if you return it on time. Babysitting Swap – Find one or two friends that are interested in a babysitting swap. You could arrange to watch one another’s children every other week to give each other time to go out and not have to pay a sitter. Girls Night In – Instead of girls night out, try a girls night in. Each friend could bring their favorite finger food and drinks, and you could enjoy each other’s company without an expensive bar tab. Manage the Thermostat – If you are feeling warm or cold, don’t be so quick to adjust the thermostat. Instead, try opening windows and turning on fans to let cooler air in or put on some wool socks and a cardigan to warm up a bit. Turn Off the Lights – Make it a habit to keep the lights turned off. During the day, open the blinds to let natural light in and never leave a room with a light on and no one using that room. Simplify Cleaning Products – You don’t need a different cleaning product for every area of your house. A simple vinegar solution works great to clean almost every surface. Check Pinterest for other great homemade all-purpose cleaners. Thrift Stores – When you are in need of clothing, shoes, or other items, check second-hand stores or consignment shops before going to the big box stores and paying full price. Thred-Up is a great thrift store that buys and sells high-quality secondhand clothes. Learn Basic Car Maintenance – Ask a knowledgeable friend or look for Youtube videos to learn basic car maintenance such as changing the oil, replacing the air filter, etc. Order Online – Check online when you need to purchase an item. Not only can you quickly shop around for the best price, but you will save time and money by not using the gas it takes to drive to the store. I find that Amazon Prime is worth the cost to me because I can get items at a great price right from my home. I use Amazon for birthday presents, household goods and even groceries! Check Your Bills – Check your bills each month to make sure there aren’t any incorrect charges. Cell phone bills are especially notorious to have hidden fees that you haven’t agreed to. Returns and Gift Cards – Check around your home for unopened and unneeded items that can be returned to the store. Also, check for loose gift cards lying around and check the balances to see if they have money left on them to spend. Make a List – Never leave to go shopping without a list! Having a list and sticking to it, will save you lots of money. What are some ways that you know of to save or make $5 or more every day? So glad you agree! Little things can really help save money.